Happy Valentine's Day! I'm not wearing a traditional red shade in today's post, but at least it's in the same color family. Kind of. LOL I love to have fun with fashion and experiment here and there, but on the whole I tend to stick to safer color combinations. When I ordered this sweater, I thought for sure I would wear it with black or brown boots/accessories. And then it arrived and I tried on a ton of boot options and wasn't jazzed by any of them. Then I decided to throw on my burgundy boots just for fun and I loved it! 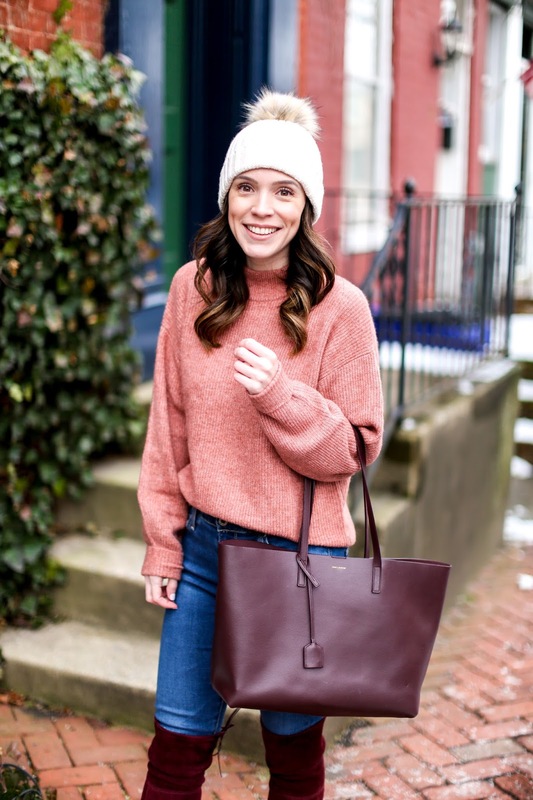 I splurged on this color 3 years ago and was worried I would never find enough pieces in my closet to wear with them, but that has actually never been the case. I am constantly finding ways to wear them which makes me so happy that I ventured out of my black/brown boot box. 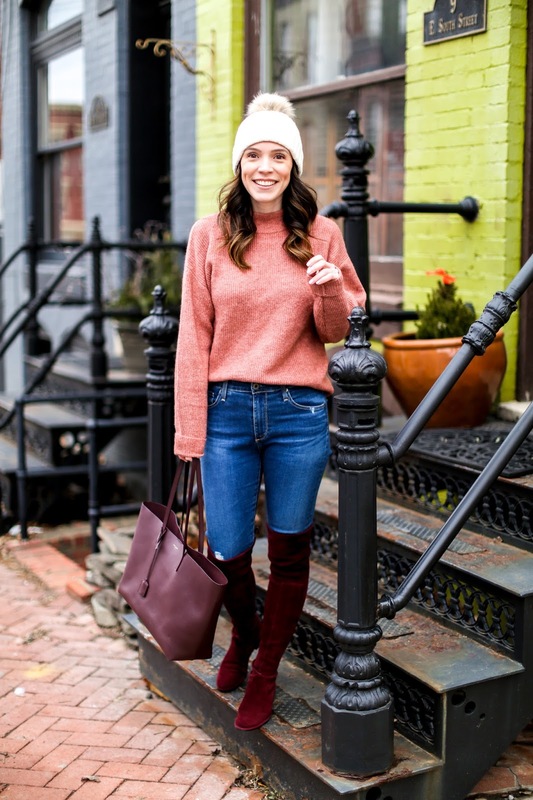 If you need additional styling ideas for a burgundy or maroon shoe/boot, here is a look back at other colors I have worn with these boots (here, here and here). What color accessories do you gravitate towards besides black and brown? I'm totally obsessed with those boots! They are still one of my favorite purchases!